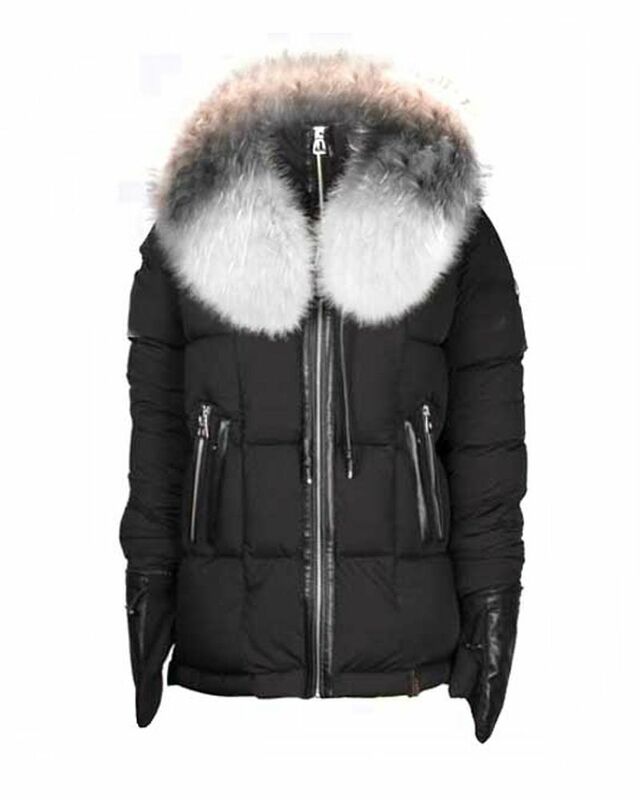 Rudsak soft down padded ’Whirl’ jacket with multi-colour fur trim hood. 89% Nylon, 11% Spandex, 90% Down, 10% Feather Fill, 100% Leather Trim, 100% Raccoon Fur Trim. Imported.